BRYAN EATON/Staff photo. 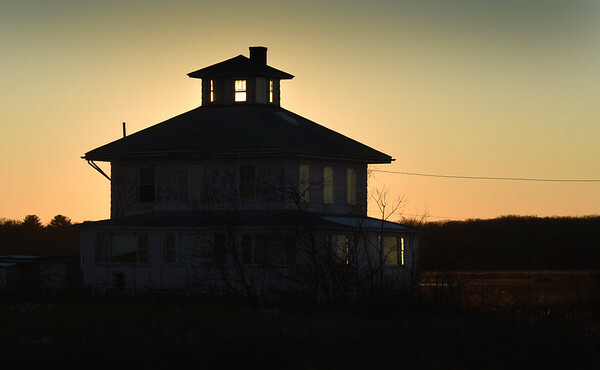 Thursday's sunset shines light through the cuppola of the "pink house" on the Plum Island Turnpike. The group Support the Pink House is trying to keep the building, which sits on land owned by the Parker River National Wildlife Refuge and is favorite subject of artists, could be demolished.